A Bright Future for SEND Music in Greater Essex National Conference | Music Mark Organised by Essex Music Education Hub, this event is the culmination of a significant, award-winning 3-year project funded by the National Foundation for Youth Music which has had significant impact on the professional development of music service tutors and school teachers, who have worked together to develop a range of skills and approaches to music-making for young people with Special Educational Needs and Disabilities in Special schools across Essex, Thurrock and Southend. Organised by Essex Music Education Hub, this event is the culmination of a significant, award-winning 3-year project funded by the National Foundation for Youth Music which has had significant impact on the professional development of music service tutors and school teachers, who have worked together to develop a range of skills and approaches to music-making for young people with Special Educational Needs and Disabilities in Special schools across Essex, Thurrock and Southend. It has involved partnerships with nationally-renowned organisations Charanga, Arts Award, Sound Connections, Soundabout, and Drake Music. The conference will review the project, hearing from tutors, teachers, and partners about their development and learning, and will look at its impact, outcomes and legacy. We will also look at other SEND-focused initiatives from across the country, exploring how Music Education Hubs can better support provision in this area and ensure an inclusive approach throughout their work. Vicki Utting, Lexden Springs School. 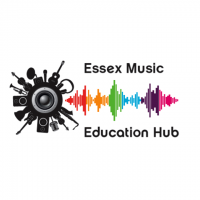 The conference is both appropriate for local and national audiences, whether this be classroom teachers, Headteachers, music professionals, SENCOs, charities, music and arts organisations, local government officers, or music service managers. Tickets are free to attendees (including lunch) funded by our grant from the National Foundation for Youth Music.